Paperback - 246 pages - size 7.5"x 5"
On the night that Chancey is born, a "fire star" gallops across the sky, a signal that a great horse has entered the world. But it will take many years of slights and hardships before the orphaned albino will believe that the prophecy is truly meant for him. 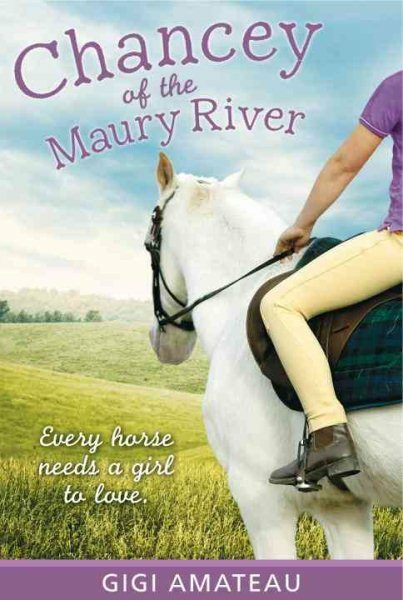 First he must find a home at the Maury River Stables and a girl named Claire who needs him as much as he needs her. Then, when his aching joints and impending blindness bring an end to their training together, he must start a new chapter as a therapeutic horse, healing people with wounds both visible and unseen. In the manner of a latter-day Black Beauty, Chancey’s observant voice narrates this absorbing story, filled with fascinating details of life at the stable and keen insight into equine instinct, human emotion and the ineffable bond that connects them both.